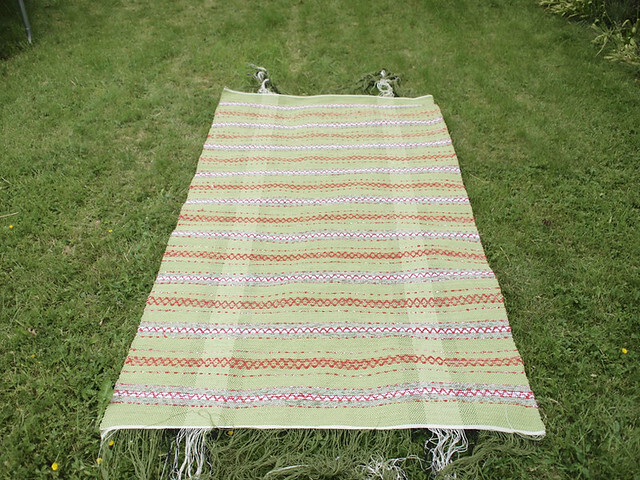 I have finished weaving the flying trasmatta. The last 20 cm took me forever . 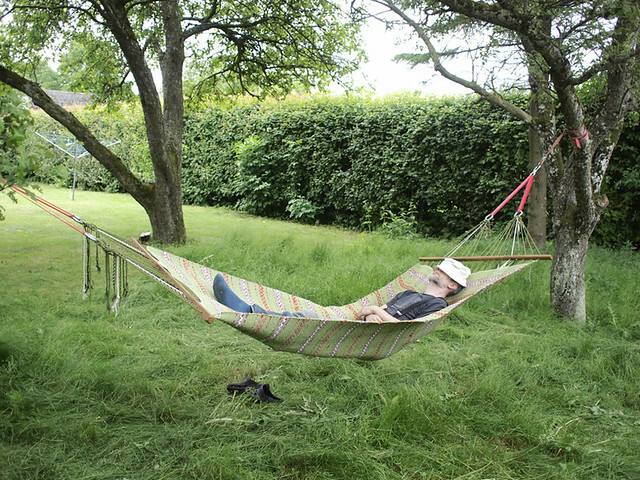 my husband has made the sticks and we’ve hung the hammock in the garden (it’s quite a huge thing). 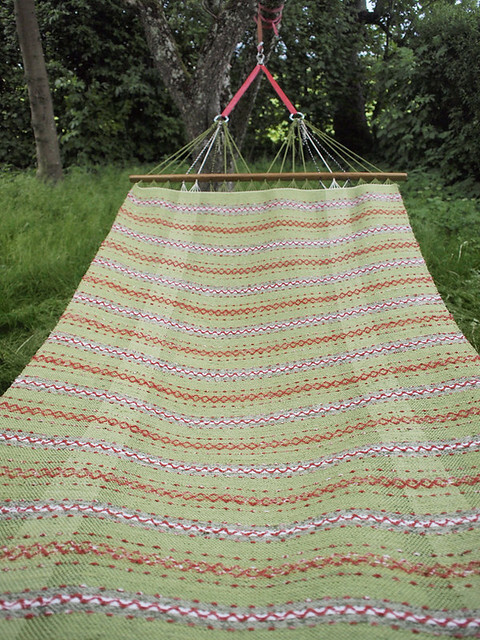 I get a bit dizzy when I lie in it, but other people feel quite comfortable. 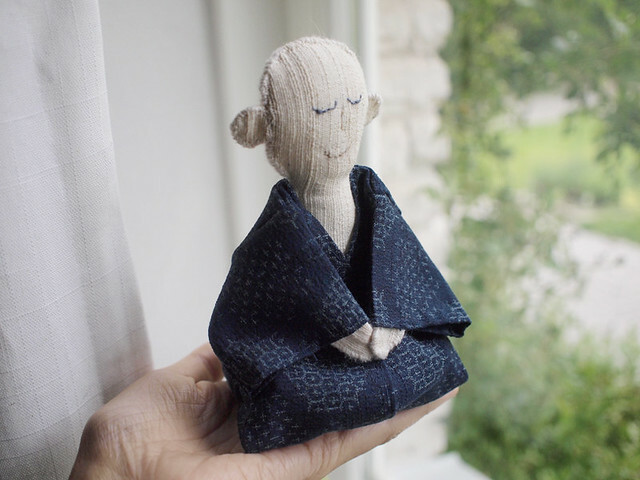 and here is a little zen monk for the rag doll show in Landskrona museum. Sweet! Love your monk. We have a big hammock, not homemade, though, and I kinda like the feeling of being in a little boat on a lake. Which size yarn do you use for warp on these things? the warp is usual cotton mattvarp 12/6 with 30/10 reed in this case. You are welcome, and right, it is fiskegarn. lovely – all of it. the hammock will be enjoyed for years. 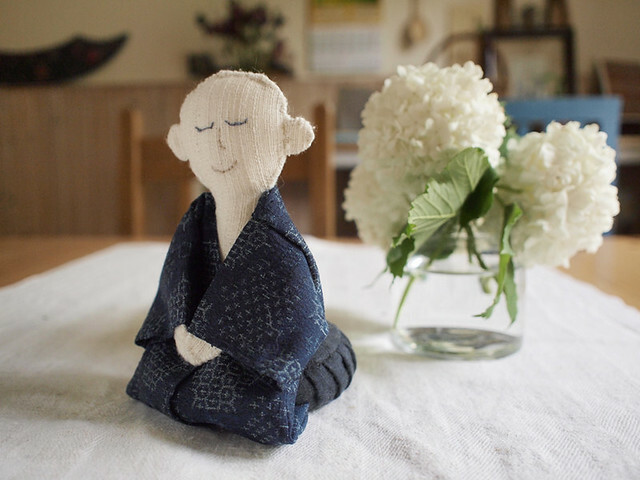 the monk is adorable, want to give him a hug – instead I’ll bow, palms together – to both of you. Thanks, Jean! Bowing to you! Such a restful blog. I’m glad always to see your works. Thank you very much, Sonja. 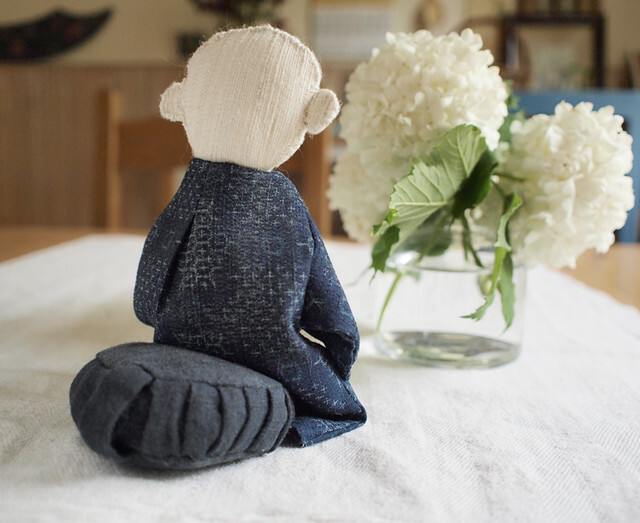 I love the little monk, so simple.